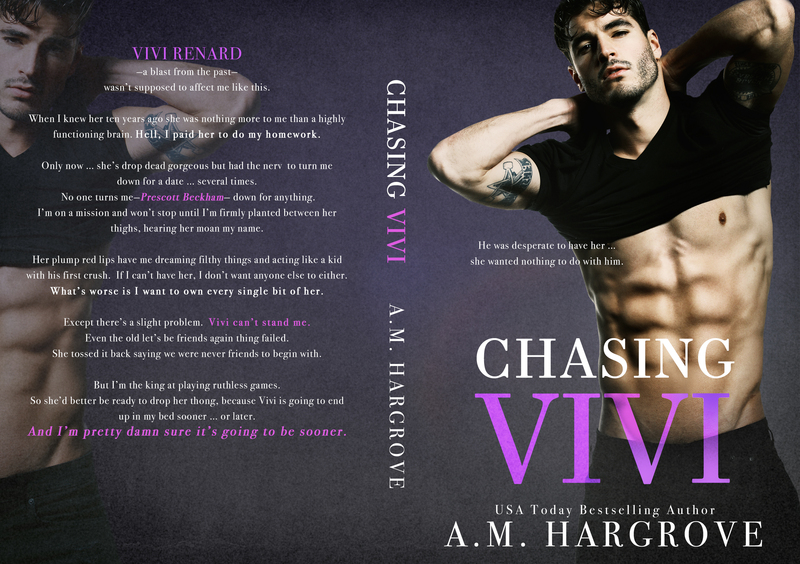 Chasing Vivi, an all-new romantic standalone from A.M. Hargrove is available NOW! This is a enemies to lovers/second chance romance read. One of my favourite genres to read is enemies to lovers, mainly due to the chemistry and sexual tension that builds up just makes for a great read. The characters made this book for me especially Vivi who was a very strong lead character who I instanly connected too. I think she was just someone I could relate to easily and her and Prescott made the perfect couple and their banter was hilerious. Full of twists and turns you won't know what to expect next, it will keep you on your toes and keep you turning the pages wanting to know what happens next.